New Delhi, February 8: “I am happy to share that the country has set an example globally by increasing its domestic financial allocations for health. 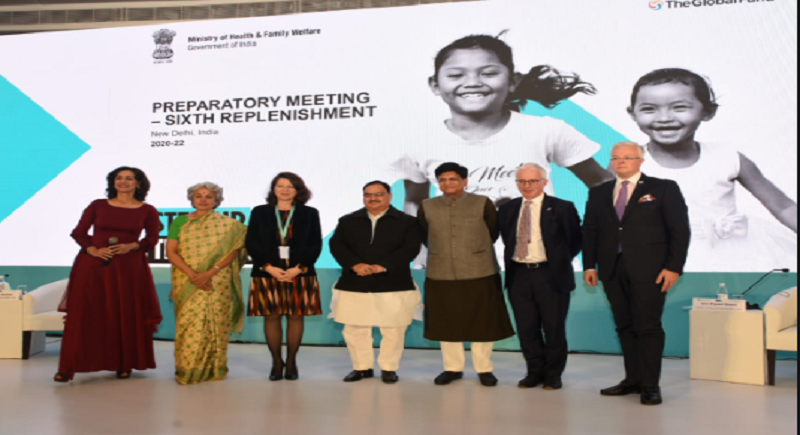 India stands committed to increasing its overall health allocations to 2.5% of its GDP as enunciated in the National Health Policy, 2017.” said J P Nadda, Union Health Minister during his address at the inauguration of ‘India Showcase Event’ as part of the Preparatory Meeting of the Sixth Global Fund Replenishment, here today. J P Nadda , Union Minister PiyushGoyal , Dr. Soumya Swaminathan, Deputy Director General of Programmes, WHO, Mr. Peter Sands, Executive Director, The Global Fund and Dr. BilaliCamara, Country Director, UNAIDS and delegations and representatives from several countries were also present with Ms. Agnes Buzn, Health Min, France and Mr. Jean Kugener, Ambassador of Luxembourg at the Global Fund's 6th replenishment preparatory meeting. The Union Health Minister further said that India is prioritising resource allocations for Tuberculosis with more than 2 billion USD, being invested in the implementation of the National Strategic Plan to End TB 2017-2025. 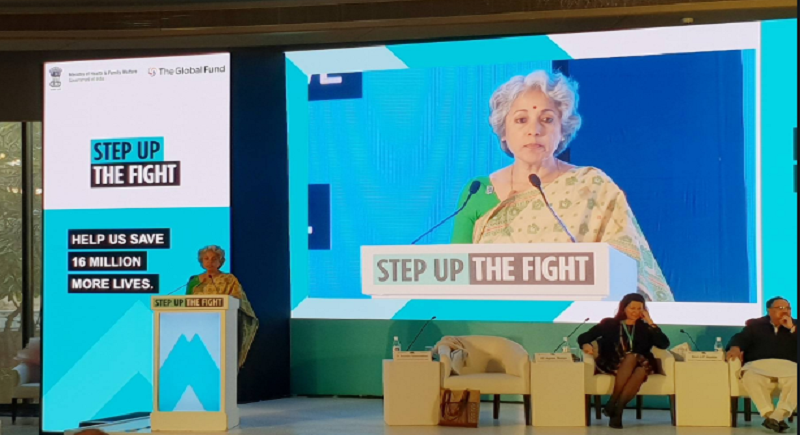 “This amount is separate from the additional amount of 100 million USD, being invested for nutritional support to TB patients under the NikshayPoshanYojna.As resolved by the Hon’ble Prime Minister at the End TB Summit, 2018 in New Delhi, the country is galvanizing all efforts to End TB by 2025, five years ahead of the SDG target,” Nadda added. The Preparatory Meeting will provide partners with key information on the impact to be achieved and the financial resources needed to end the epidemics by 2030 in alignment with the Sustainable Development Goals. “I am happy to share that since the roll-out of ‘Modicare’, in merely 135 days nearly 1.1 million people have already availed of the benefits worth RS. 15 Billion under the scheme,” he added.“By hosting this meeting, we exhibit the country’s commitment and political will to fight these diseases,” he added. The Ministry of Health and Family Welfare is organizing “India Showcase” to highlight India’s global footprint in the field of innovation and technology to end AIDS, tuberculosis and malaria and its increased ownership of the national response and its growing role in development. India is the first implementing country to host a replenishment milestone, which presents an unprecedented and unique opportunity to highlight India’s role and political leadership in global health, as well as its strong commitment to achieve SDG3.